What Happened to Turkmenistan’s Tiger Economy? The tiger of Ashgabat, if it ever was, is no more. In addition to all the issues associated with transiting its gas elsewhere – to India and to Europe, for instance – Turkmenistan seems to be as susceptible to external economic unrest as any of its neighbors. While Kazakhstan’s currency continues its record tumble and Kyrgyzstan and Tajikistan continue experiencing precipitous remittance drops, Turkmenistan has begun making noise about cutting its coming budget. Not only is Ashgabat just as vulnerable to currency pressures as the rest of Central Asia, but the country is now looking at slashing its “free supply of electricity, cooking gas and water to the country’s households,” according to a recent report from EurasiaNet. Perhaps the signs were there all along. Not only had Turkmenistan recently begun mandating gas meters – regardless of efficacy – but, as the EurasiaNet report also notes, recent limits on automotive gasoline had also come into force. And while China’s slowdown has not adversely affected Turkmenistan’s export business as of yet, the signs of continued increase are nowhere near as prominent as they once were. I’ll readily include myself in those taken aback by the news, and will eat crow for my prior, glowing projections. 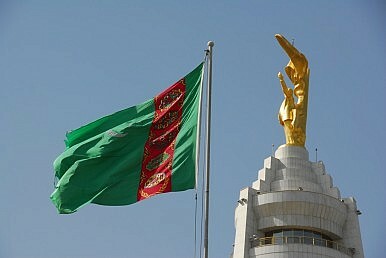 It appeared as if there might be a tangible difference between Turkmenistan and others. But the difference, as we now know, came in degree, rather than in kind. Much in the same way many thought Kazakhstan could wean itself from its hydrocarbon dependency, we can see that Turkmenistan’s planned and enacted shifts were far more superficial than official rhetoric would have had it. Turkmenistan has shown itself to be as prone to external shocks as its neighbors – and while it may still maintain a brighter outlook than the rest of Central Asia, that’s not saying much. The glow of Turkmenistan’s projected economic swell has dimmed to a flicker. The tiger, if it ever was, is no more.